In this second ever episode of the podcast, we take a different approach to talking about wine: instead of focusing on wine theory like in the Middle-earth and Old World Wines episodes, we’re focusing on the process of tasting a wine, and showing how different wines made from the same grape and even from the same place can taste totally different. 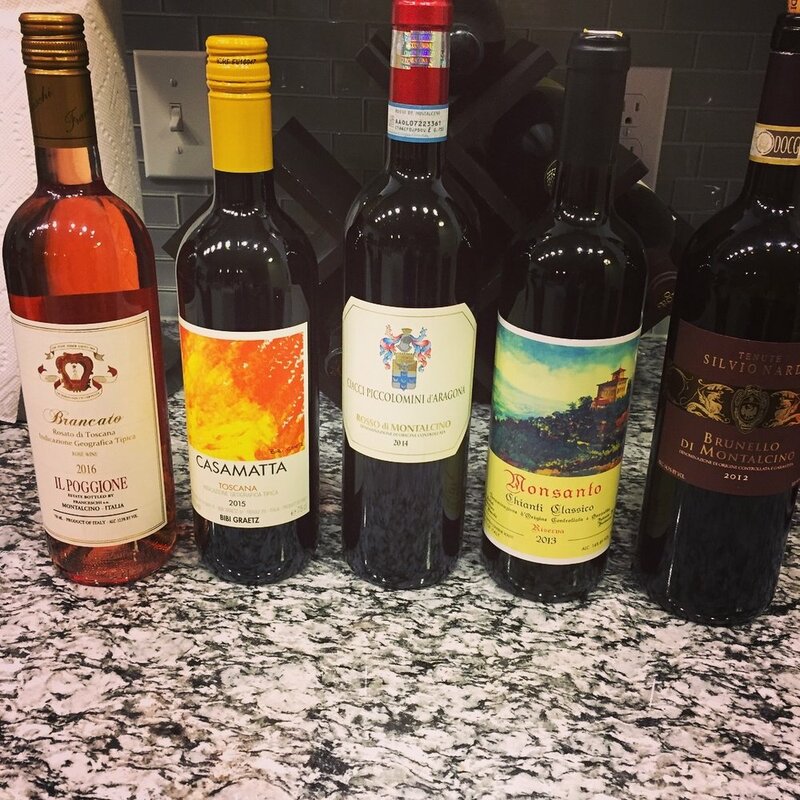 Rather than giving broad strokes about different wine regions and grapes, in this episode we are honing in on one wine region, which is Tuscany, and one grape, which is Sangiovese. If you are interested in reading Uma Thurman's account of her experiences involving these movies, here is her interview in the New York Times. First of all, here's a Wine Map of Tuscany from WineFolly, a great online resource. This will definitely be helpful to look at before, during, and/or after listening to the episode. The Four Fundamental Elements of Wine: Tannin, Acid, Sugar, and Alcohol. Fact Check: Chianti must be at least 80% Sangiovese. Clarification: A better way to describe how most rosé is made, rather than whatever Emma said in this episode, is red grapes made in a white wine fashion. Feminine vs. Masculine as wine descriptors. Pretty much what you'd expect, as long as wines are being heteronormative. Vino Nobile di Montepulciano vs. Montepulciano d'Abruzzo: one's a region, one's a grape, and they're both different! Why Italy why?!? Clarification: Vin Santo is a dessert wine made in Tuscany. It can sometimes be made from the Sangiovese grape, but more often is a blend of the Trebbiano and Malvasia grapes. The Vin Santo we reference, from Badia a Coltibuono, is no exception to the trend. Emma's #1 Rule For Tasting Wine: You can't be wrong, so don't be afraid! 2016 Il Poggione 'Brancato' Rosato- Literally impossible to drink less than a bottle in one sitting. 2014 Ciacci Piccolomini d'Aragona Rosso di Montalcino- check out the whole site to learn who married the Ciacci. 2012 Tenute Silvio Nardi Brunello di Montalcino- find my friend Emilia Nardi on the site!